Devoted and Loving Son, Brother, Husband, Father, Grandfather, Uncle and Friend. Born November 16th, 1941 in Peyton, Colorado to Ernest “Bud” and Nina (Vette) Ishmael. He lived in Peyton and was raised on a farm in Eastonville, Colorado. After graduating High School, he attended Blair business school in Colorado Springs, where he met and then married his beautiful wife Rita Thomeczek. Chuck was preceded in death by his parents, brother William “Bill”, Wife Rita and Granddaughter Kenzlee Ishmael. Chuck is survived by his daughter Brenda (Gossage), Son Joseph Ishmael (Wife Joni) and Son Ron Ishmael. Grandchildren Ryan, Drake, Dakota, Dillon, Landon and Rhiannon. Great Granddaughter Brynlee, along with many nieces, nephews and cousins. Up until the day of his passing, he graciously thanked his caregivers and children for everything they had done for him. Chuck was an extremely generous man, providing for his family by managing BF Goodrich Tire Stores in Pueblo, Denver and Colorado Springs. He also played lead guitar in local bands. He played Country, Western, Rock and Blues music. He was fortunate enough to play with the likes of Roy Clark (in LaVeta, CO) and Jimmy C. Newman (in Rocky Ford, CO) over the course of his guitar playing years. He always talked about Roy Clark, Chet Atkins, Buck Owens and B.B. King, as his personal favorite guitar players. In 1976 Chuck got his Real Estate License, and shortly thereafter, with his business partner, formed their own company Olympic Investment Realty, shortly after that went on to start their own Home Building Company, Olympic Homes. In 2003, Chuck and his business partners built Austin Bluffs at Stetson Hills Storage Facility, and in recent years co-owned three car washes in Colorado Springs. 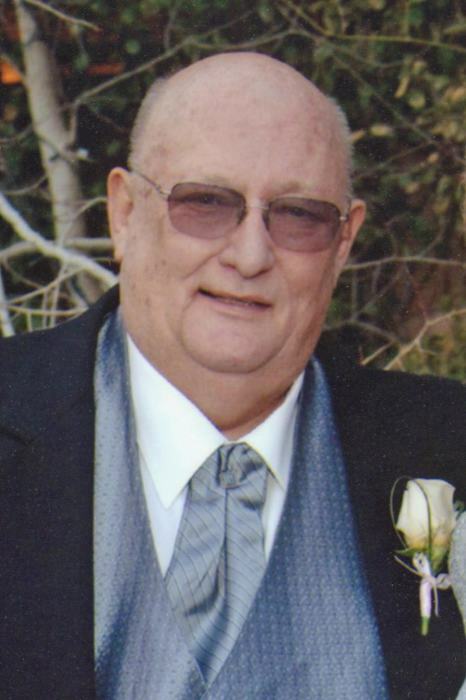 Chuck was very involved in his children and grandchildren’s lives, always attending in their school/sports events. He was a tremendous cook, who delighted in creating delicious meals that he lovingly prepared for his family and friends. He could come up with amazing meals just with his own creativity. He loved frequenting restaurants, as he had many friends that he liked spending time with over a meal. Chucks hobbies included Boating, Ballgames, taking the Motorhome on vacations or just for a drive in the Mountains. But his favorite hobby by far, was spending quality time with his family. He also loved doing things for others without expecting anything in return, and imparted his wisdom freely. He was a very proud yet humble man, and gave so much of himself in every aspect of his life well lived. He will be remembered by his wonderful sense of humor and quick wit! Dad, you will be greatly missed by all who knew and loved you, especially by your tiny four-legged companion, Princess.